Masters of Mayfair is a British luxury travel accessory brand with a passion for adventure and relaxation in equal measure. The inception of the brand was formed on Jamie and Katie’s (the founders) honeymoon. Before the trip, Jamie had handcrafted two sleeping masks, each filled with lavender as a way to make their long flight more enjoyable. After sleeping through the entire flight, Katie insisted Jamie had to make more and so the brand was born. 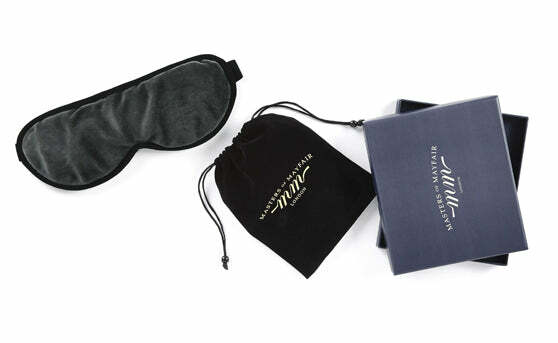 24 months later after several rounds of design, product development & testing, their first product, the luxury sleep mask was born. Since then, their collection of luxurious products continues to grow, with the aim to enhance any travel experience. As a brand we believe that better sleep & adventurous travel equates to a happier, healthier life. We don't cut corners and truly believe in the importance of fine artisanship. We endeavour to create the most beautiful products. Using natural fabrics and ingredients is integral to our products and brand.